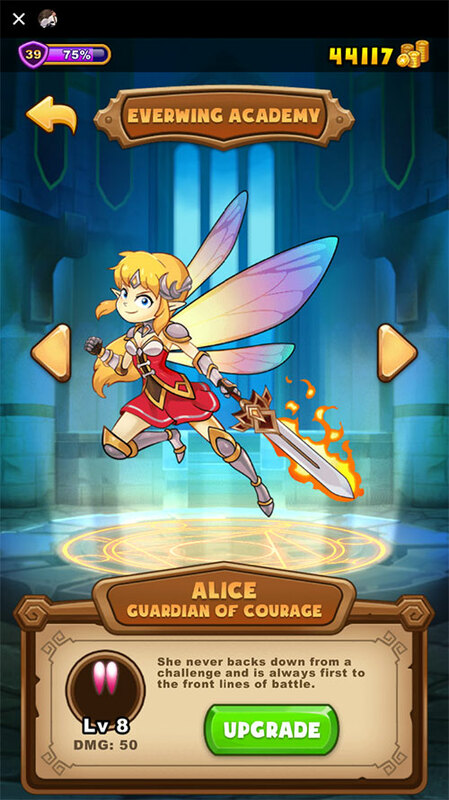 EverWing – Tap to play, instantly! Free-to-play instantly in Facebook and Messenger apps on iOS, Android, and computer browsers. Just select the games button on Messenger, or hit the Play Now button to start playing EverWing instantly! She never backs down from a challenge and is always first to the front lines of battle. She was born in the wilds and raised by dragons. When dragons fly with her, they earn 2x XP! A master Alchemist and Mage of the Third Order, she earns 2x Coins. Cha-ching! Caretaker of the forest, a true sister to Nature. Her enchanted super magnet attracts items! As assassin who fears nothing! Attacks charge up her skill, which makes her invulnerable and deal double damage. This sly illusionist has a few tricks up her sleeve. She can clone sidekicks after charging up. What do the items do within the game? 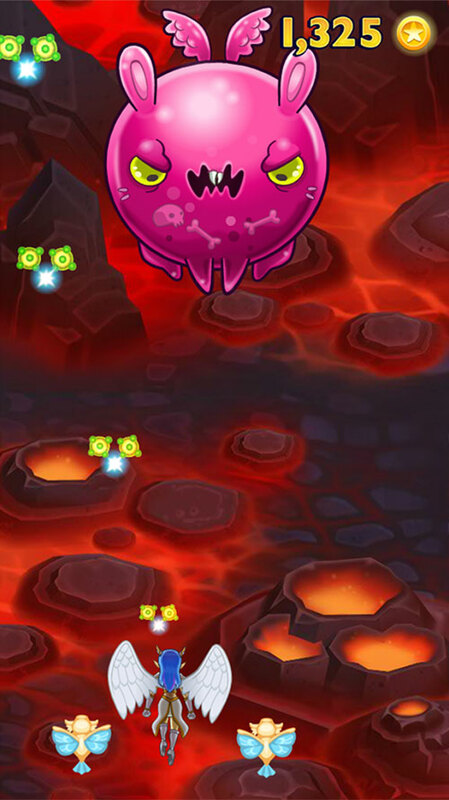 The Clover increases the bullet level by 1 for the rest of the game round, with a maximum level of 70. The Magnet attracts all items and coin, bringing them toward the Guardian. The Mushroom doubles the Guardian’s bullets for a limited time. The Rush Flower allows Guardian to become invincible, and to destroy all enemies within their path. Purple Crystals are worth 10 coins. Red Crystals are worth 20 coins. Aqua Crystals are worth 40 coins. Treasure Chests contain a lot of Gems! Boss Raid Energy drop from bosses in the normal game mode. Time Freeze slows down time for a brief period of time. 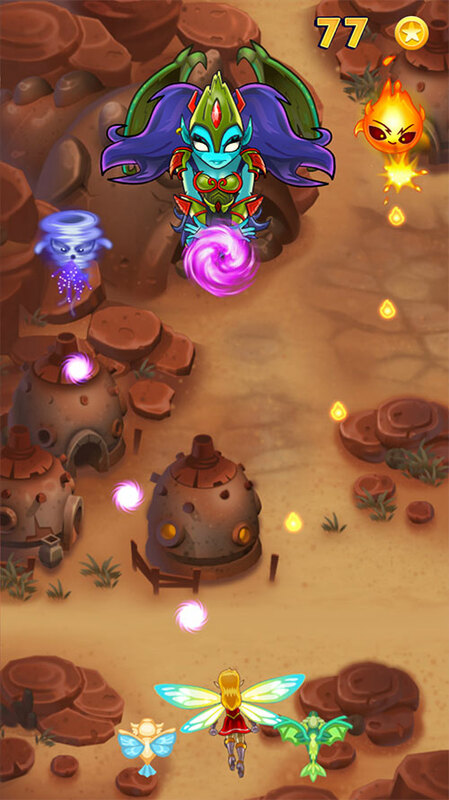 Arcane Blast mows down all enemies with ease, including Meteors! Quests allows you to send your Guardians and Sidekicks to automatically earn coins and experience. Select the Quest and deploy your Guardian and Sidekicks, then come back later to redeem your rewards! Using higher level Guardians and Sidekicks will increase your chances of better rewards. How do I evolve Sidekicks and what are the Zodiacs on Sidekicks? 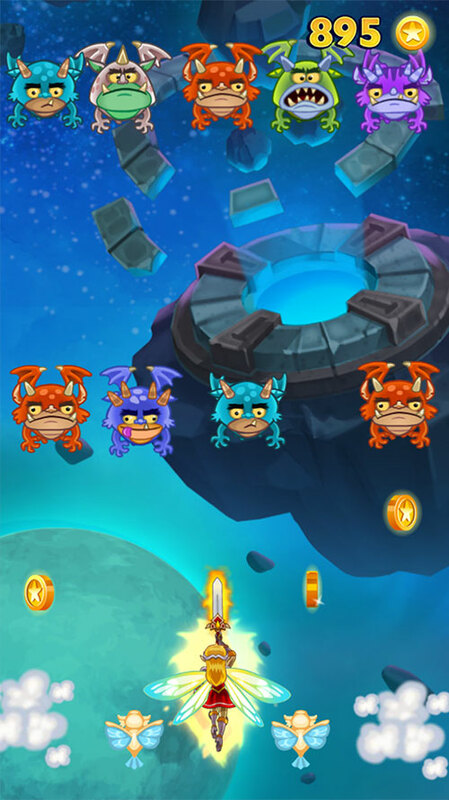 Evolving Sidekicks: To evolve your Sidekick dragons, you must have two one-star dragons at level 10 (the maximum level) of the same name. 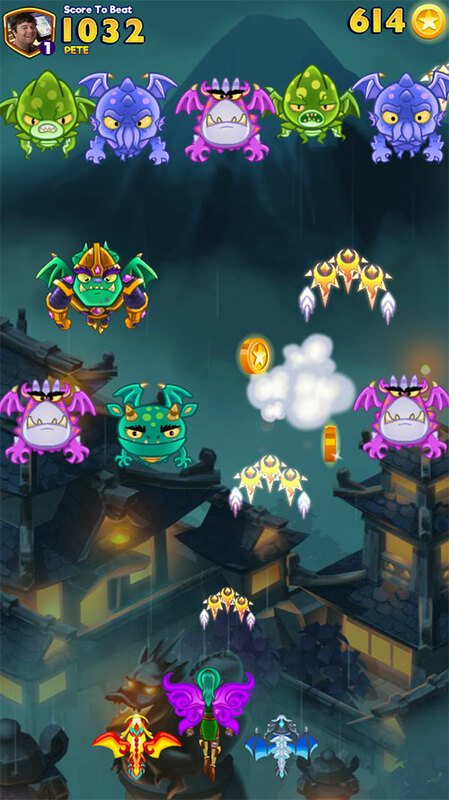 To evolve these dragon a second time, you must have a two-star dragon at level 20 (the maximum level) and evolve it with another two-star dragon at level 20 of the same name. *Note that Virgo and Scorpio ( and ) look very similar. So be cautious when selecting two Sidekicks for the Zodiac Bonus. Zodiac Bonus on the Second Evolution: In order to continue the Zodiac Bonus on the second evolution, make sure the Sidekick you selected to evolve has the Zodiac Bonus. 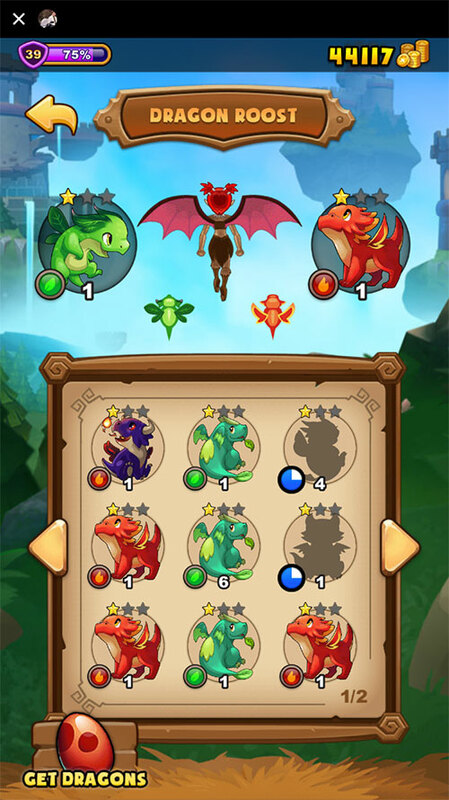 The second Sidekick used to evolve the Sidekick selected first must also have the same zodiac displayed, but it does not matter if the second dragon has a zodiac bonus or not. It is important that you make sure that you select the Sidekick with the Zodiac Bonus first when evolving. What are the Elements on the Sidekicks? The Prismatic Element is strong against all Elements, so it will provide a 50% bonus damage on all bosses. Sidekick dragon effects do stack. However, the second stacked effect is limited to 50% effectiveness. Even though two of the same or different Sidekicks may have the same ability, the second same ability is still limited to 50% effectiveness. 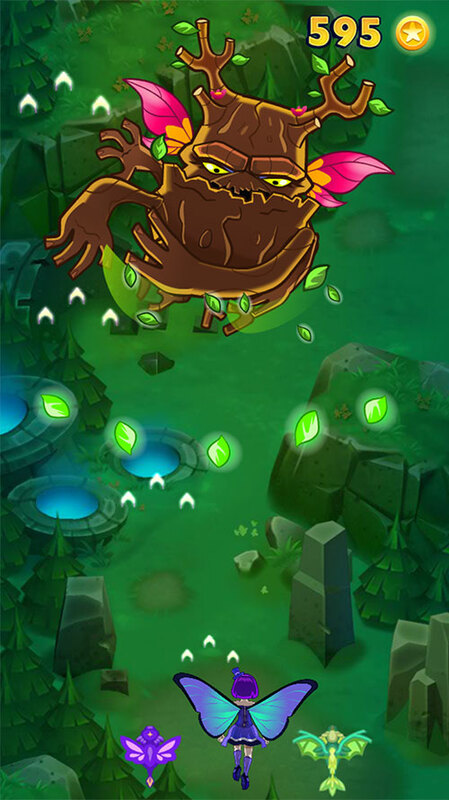 For example, both Glowbean and Moss have the same effect, this means the second effect is still limited to 50% effectiveness. The Legendary Bonus lasts for 1 hour when notified. When someone receives a Legendary Sidekick, the game shares a bonus to the chat group. Tap on the message to bring you into the game to increase your bonus. The Legendary Bonus increases your chances of getting a Legendary Sidekick from an egg. If you normally have a 12% chance, a 50% Legend Bonus would put you at a 18% total chance for a Legendary Sidekick. In Boss Raids, everyone in your Messenger chat group is fighting against one really tough Boss. The chat group will have a limited amount of time to do as much damage as you can to the Boss! When the Boss is defeated, everyone in the chat group that participated receives rewards. The Boss must be completely defeated for everyone to receive their rewards. Each Messenger chat group contains a separate Boss Raid, so you will be fighting different bosses in different chat groups. Rewards received must also be claimed in the same chat group. The Boss Raids reset back to level 1 every week on Monday, 11 AM Pacific Time (as indicated by the countdown timer). Gems allow you to purchase certain premium content in EverWing. Currently, Facebook supports Gems purchases on Android 6.0+. This feature will be coming to iOS soon. How can I report an issue with my Gem purchase? If you purchased Gems and they are not showing up in your game, please send an email to https://everwing.freshdesk.com/. We will need an order number in order to investigate this matter. You can obtain the receipts associated with your account by checking your email or accessing the Purchase History in your iTunes or Google Play account. Where can I read about latest updates on EverWing? We are constantly working on new updates for EverWing and we can’t wait for you to see them! This includes new features, characters, dragons, bosses, events, customizations and more! Follow us on Facebook, Twitter, and Instagram for the latest news on EverWing! 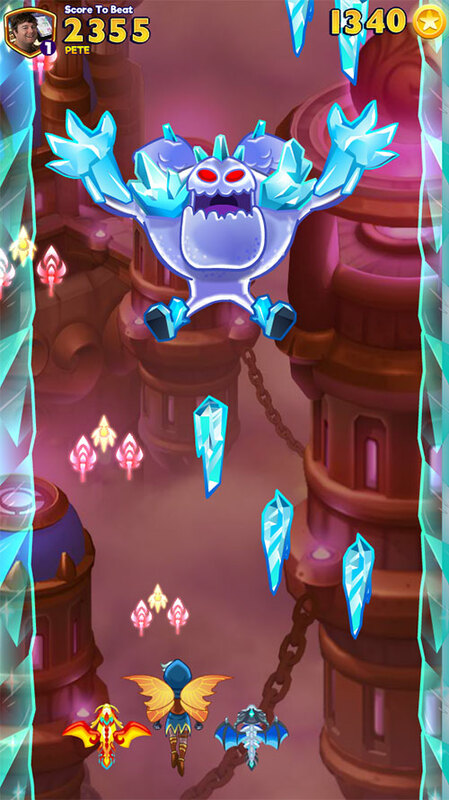 Also, make sure to visit the EverWing Wiki and EverWing Subreddit! Is EverWing available as a downloadable app? EverWing is only available on Messenger and Facebook. We believe that the future of mobile games exists outside of the app stores, and that games should be available instantly on any platform, whether it be an iPhone, Android, tablet, or desktop computer. We want users to be able to enjoy EverWing everywhere! Get the latest news on EverWing!